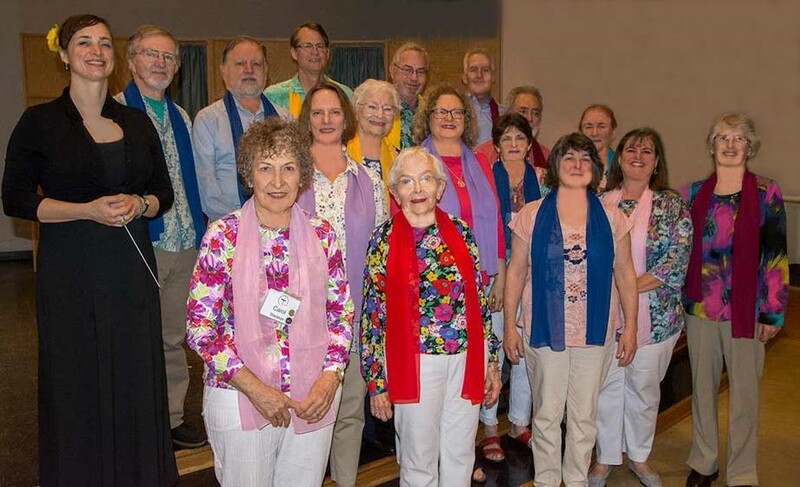 Under the direction of Sadie Sonntag the choir provides music for Sunday services at least two services a month from September through June. This year the choir will take the month of July off and return to the 2nd and 4th Sunday schedule in August. Check back here for upcoming choir performances. 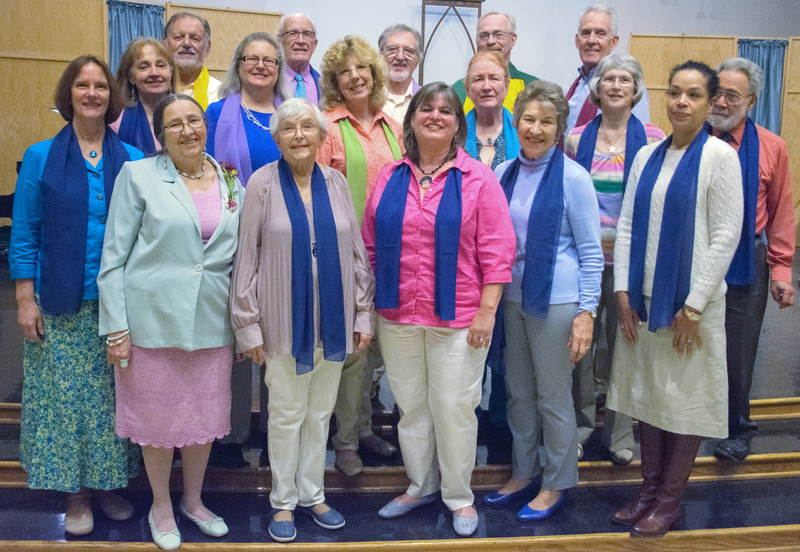 Summer is over (well, according to the calendar, anyway) and the Choir will sing for Ingathering at both services (9:15 and 11:00 AM) this Sunday, the 10th. We thus we begin our regular 2nd and 4th Sunday performances. We will sing a 4-part rendition of "Come Come Whoever You Are" (#188 in the regular hymnal) in a round surrounding the congregation. We will also sing a hymn from the "Teal Hymnal" titled "Fire Of Commitment". So come, come whoever you are, and join us in singing of the fire of our commitment! If you’re interested in singing with us, rehearsals are on Thursday nights from 7-8:30pm, and all fun-loving people who want to sing are welcome! To learn more about the choir, talk to a choir member during Coffee Hour after any Sunday service or contact Sadie here. Come to a rehearsal Thursday evening during the season, and we’ll all make music together. Make or Increase Your Pledge Today! Please send Web site feedback to the Webmaster. We all affirm that this will be a safe space for bisexual, gay, lesbian, and transgender persons.